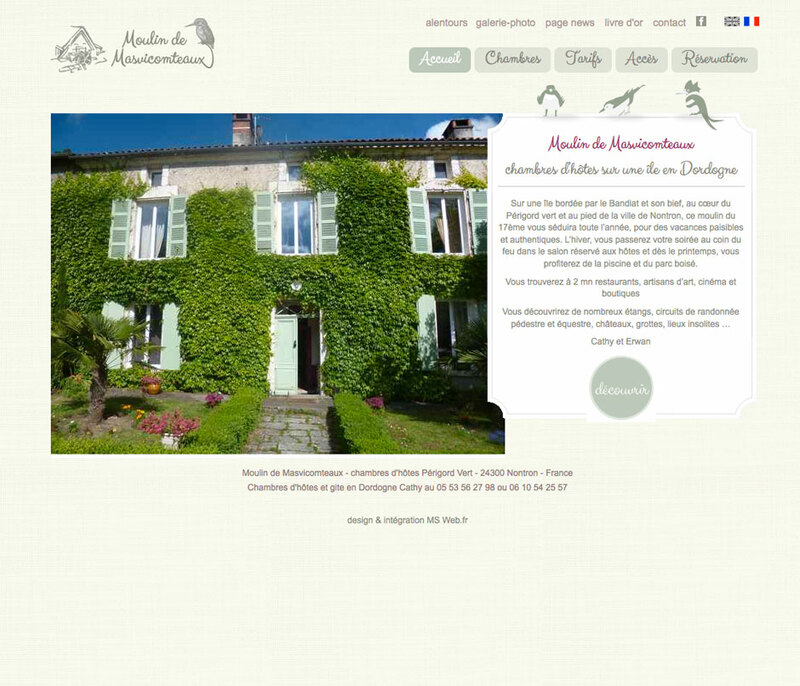 Mill Masvicomteaux offers cottages on an island in the Dordogne, in the heart of the Périgord Vert and at the foot of the city of Nontron. This former mill of the 18th offers peaceful and authentic vacation near the fireplace, the pool or in the wooded park. Ideally located 2 minutes from restaurants, artisans, ponds, hiking, horse riding tours, castles, caves, unusual places … The Tender wanted a peaceful site, very drawn, to sell these assets and make reservations online in real time. Design of the logo. Design communication materials (flyers, panels, …). 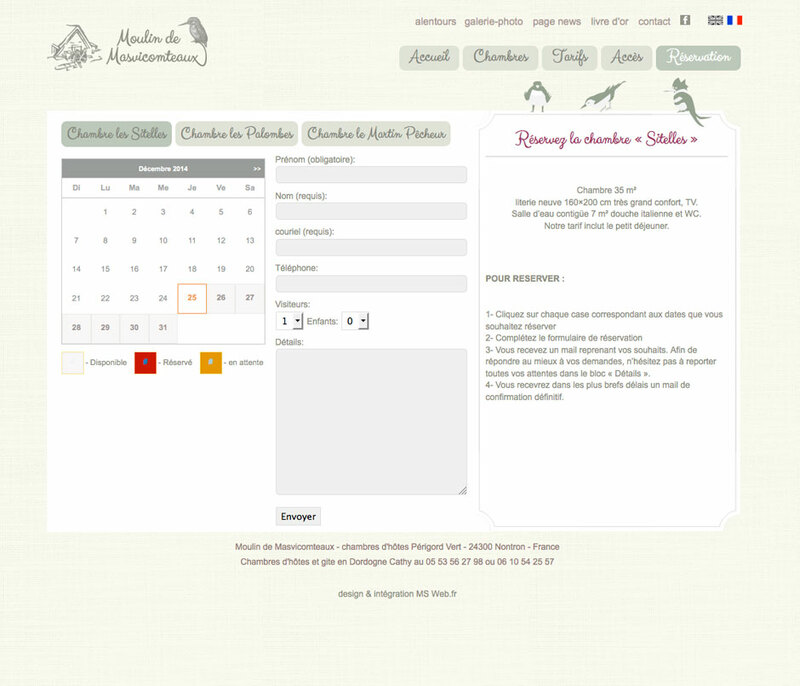 Booking system with updated real-time schedule.